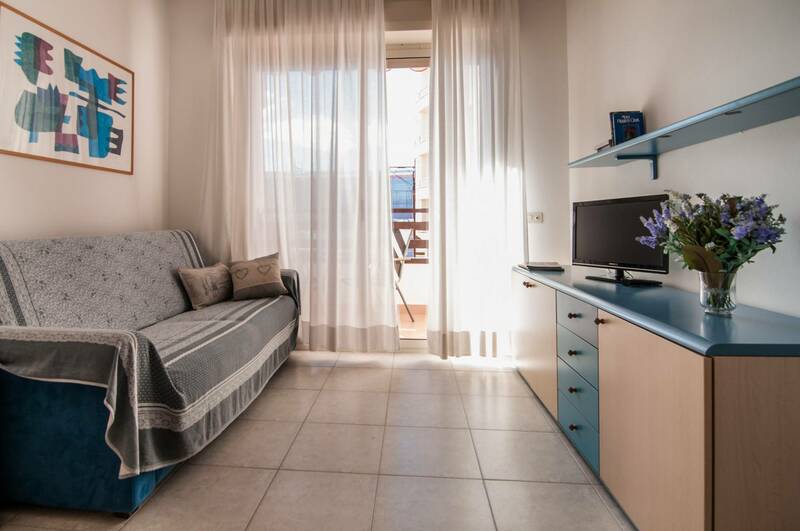 The apartment is located in the pedestrian zone of Marina di Grosseto, 50 meters from the beach. The accommodation has a master room, a single room, a bright living room with an equipped kitchenette and a balcony. There is also a queen-size sofa bed in the living room that permits to 5 people a comfortable sojourn in the apartment. A rainfall shower, complimentary toiletries and a hairdryer are featured in the private bathrooms. Is possible to add a single bed in the master room on request.